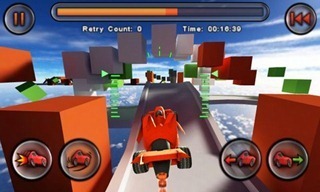 Having just released the full version of Jet Car Stunts, mobile game development company True Axis also decided to release a demo version of the game, aka Jet Car Stunts Lite (currently live in the Market). 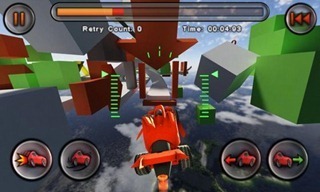 Like the full version, the lite version features OpenFeint compatibility and gives users the ability to make huge jumps and fly through the air doing crazy stunts. For those who aren't familiar with the game, it’s a 3D driving sensation where your opponents are not other players, but the tracks. As a fan of the game, I can tell you that it is very addictive and extremely fun. For anyone who wants to try the game before buying it, this is a great opportunity. Anyway, for those interested, Jet Car Stunts Lite is now in the Android Market, and it's free. Search "Jet Car" in the Market or scan the QR code below.